Perhaps no other opening in the history of chess has produced so much exciting games than King's Gambit (1. e4, e5 2. f4....). I started to love this 19th century romantic opening when I got a miniature games collection of King's Gambit as a young player. This miniature included The Immortal Game of Adolf Anderssen among many other games full of wonderful combinations. This aggressive opening has lots of tactical possibilities for both sides which is highly beneficiary to develop tactical abilities and understaning for players at an early stage. However, the romantic age of chess is gone and today is the computer age of chess and this opening has almost vanished from master level chess because it has been found that black can get a significant advantage or equalize easily by returning the gambit pawn at a favorable time. Today I played 2 games t in ChessLive with this opening. Click on the links 2 see those games online. Now-a-days I started playing online chess a little bit regularly after renewing my USCF membership. The site I like most is ChessLive where as a USCF member I can play 10 free rated games and unlimited unrated games with other players. My friend chess friend in Atlanta Richard Pugh told me about it and I immediately started playing with him there. The other internet chess site I play in is Yahoo Games Chess. Its also good though the players here are not as good as ChessLive (naturally). Morning today I played with Shihab in yahoo games chess 3 timeless games. I didn't know he plays so well as he never read a single book of chess. Although I won all the 3 games, he put a very good resistance. Here are the 3 games you may examine online. Anyone willing to catch me in ChessLive find me under the nick ashik4chess while in Yahoo Games Chess you will find me as azaman75 . 22nd November 2006 morning, I got the web link of a chess program that shows its thaughts while deciding on moves. It gives a simulation with graphics of the possible moves the computer is currently considering. Looks beautiful though the interface/ specially the knight, bishop, queen are not easily recognizable. Also it didn't let me choose what I want to promote my pawn to - Queen, Rook, Bishop or Night and defaulted the promotion to Queen while for my position, promoting it to a Rook was sufficient. Still I would say this is a wonderful project! I was easily able to defeat it playing a game with white. You may also view the game online here. It was sad to know the news of an indian chess player cheating in the day when Deep Fritz defeated Kramnik showing its superiority over a top GM. I came to know it when I was browsing Susan's blog. I am sure this player's chess career in ruined and FIDE should take strong action against him to demonstrate an example of what can happen to a cheater. I would really look for confessions from that guy so that others learn from his bad feelings. My suggession would be to take off his FIDE rating and ban him for 3 years from any tournament! In case of confessions from him, the ban might be reduced to 2 years. After the banned period, he should be given the provision to start as a fresh chess player though. I want the treatment of the disease not punishment of the patient. Finally the machine won the duel. Overall Kramnik played cautiously the whole tournament despite the blunder of the century in game 2. But Fritz 10 seems to be excellent in tactical positions and able to hold positional manuevres well. For a little more detail, read this entry. I believe Deep Fritz is not the best chess entity on earth still now. Rybka and Hydra will be even tougher for top Human GMs. But as we all know, these are machines and programs, created by other human beings. I have been attracted to Chess since my boyhood. I didn't get good opponents to play against until I was in class 6 when one of my uncle challenged me. We were very close competitors with me having slight edge over him in a marathon series of hundreds of games. There was no school chess (late 80s), no chess book or anything available to me at that time. My chess playing restarted after several years when I got a Bengali book on chess and used to play against 2 local chess players (both of whom are brillian students by their own merits). But my serious chess play started when I entered Notre Dame College (NDC) after a very good result in my SSC exam. 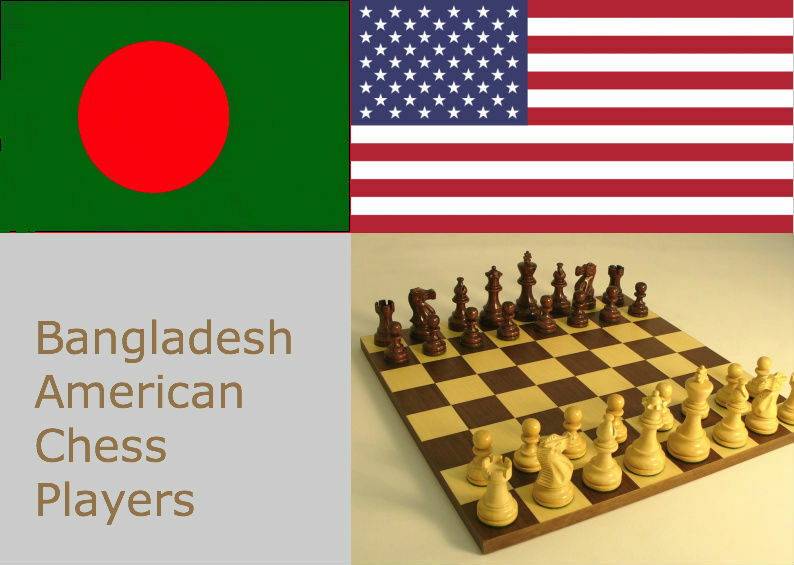 and my friend Pappu introduced me to both Notre Dame Chess Club and Bangladesh Chess Federation in 1993. I got totally obsessed with the game from that time. I got into chess next 5 years seriously getting FIDE rating, playing in the first division chess leagues, winning a few local tournaments as well as organizing a few chess events. Since I joined NIIT to study Diploma in Software Engineering in 1998, when I was in the road to real life to earn money and build up a professional career in Information Technology, I left serious chess. I have some accomplishments as a Java Software Developer, but still today Chess and only Chess is my passion. When I came to USA on H1 Visa as a Software Engineer at April 2005, I got some spare time to play chess in Atlanta Chess Center. I should say this is the second phase of my chess span in life. Last 2 years I have been following chess events worldwide more rigorously than ever before. I wish Chess will be my companion in my last days of life as well.